From the Photographer..A winterscape so ethereal that it could melt your heart in even the coldest temperatures. Handcrafted with thousands of icicles, we found ourselves roaming through the secret ice passageways that were carved straight out of a dream. 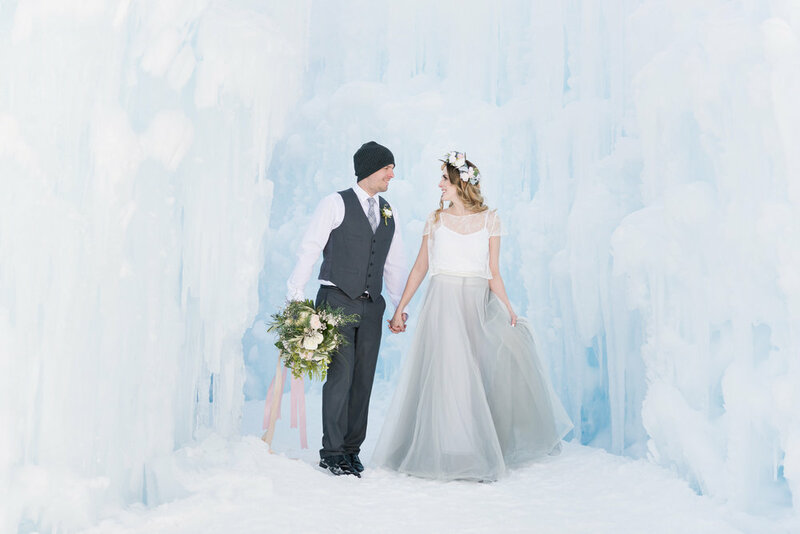 This elopement inspired winter fairytale incoprorated the whimsy of a tulle wedding gown and a floral crown fit for royalty. 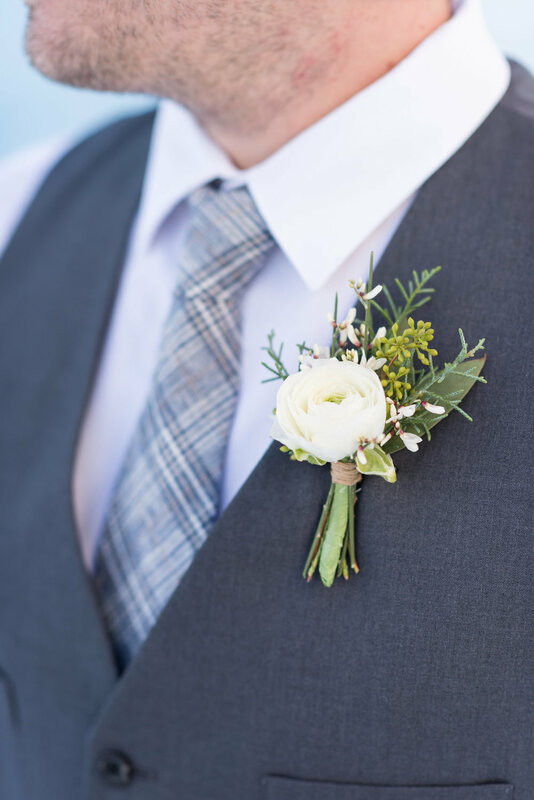 A color pallet of soft grays, delicate blushes, and minty blues magnified the icy setting without distracting from the magnificent sculptures the bride & groom were engulfed in. 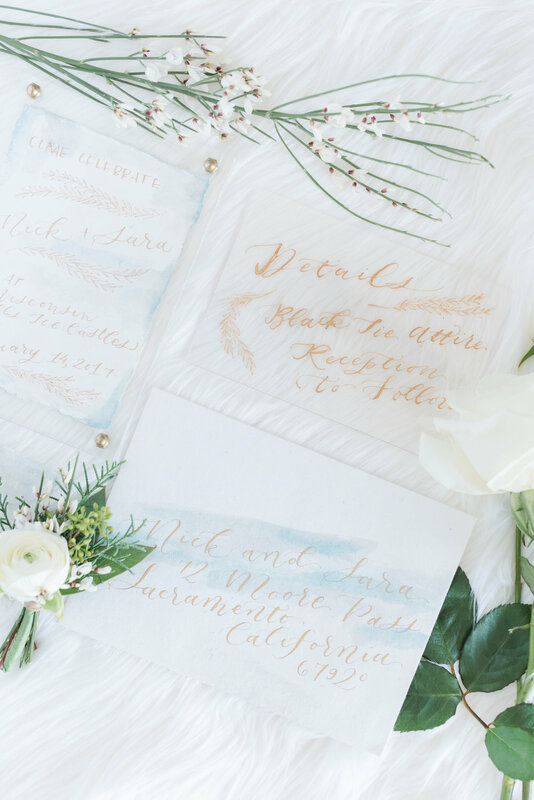 Hand-lettering set on top of a watercolored stationary suite complimented the overflowing waterfall bouquet, with statin ribbons that draped down to the snow covered ground. 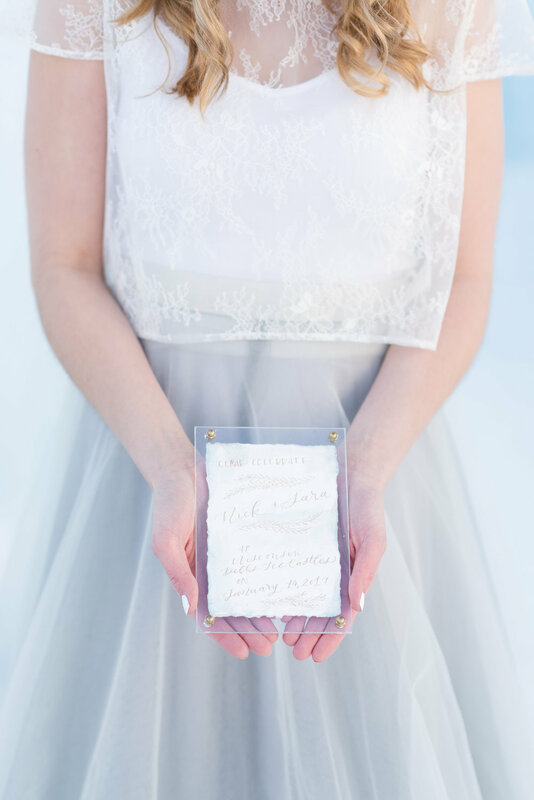 The cold strength of the ice was perfectly offset with the delicate materials & florals used in this shoot. 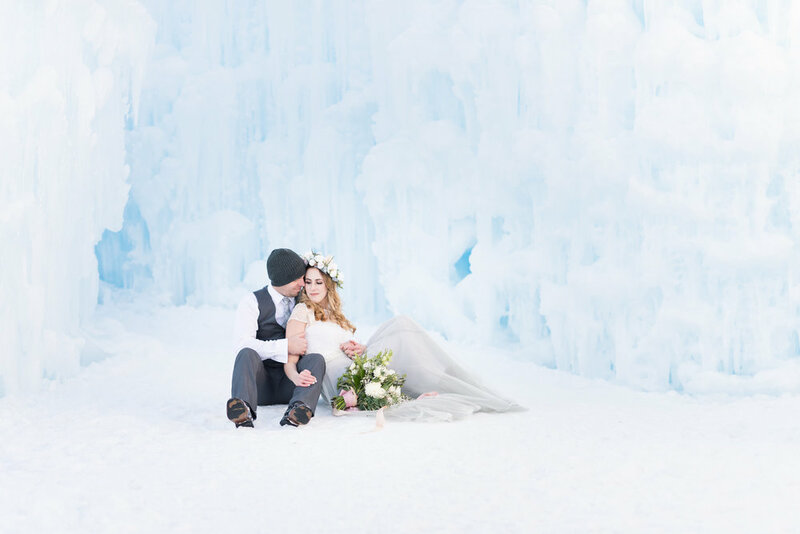 We were so inspired by the magnetizing romance of the ice castles and wanted to capture the cozy warmness that is often overlooked when planning a winter elopement.